Does the quantum state represent reality or our knowledge of reality? In making this distinction precise, we are led to a novel classification of hidden variable models of quantum theory. We show that representatives of each class can be found among existing constructions for two-dimensional Hilbert spaces. 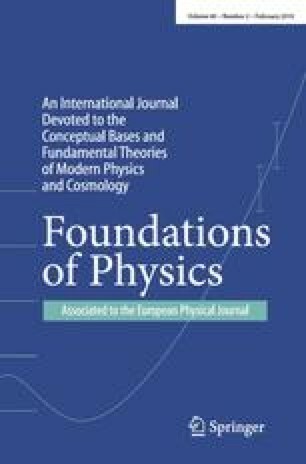 Our approach also provides a fruitful new perspective on arguments for the nonlocality and incompleteness of quantum theory. Specifically, we show that for models wherein the quantum state has the status of something real, the failure of locality can be established through an argument considerably more straightforward than Bell’s theorem. The historical significance of this result becomes evident when one recognizes that the same reasoning is present in Einstein’s preferred argument for incompleteness, which dates back to 1935. This fact suggests that Einstein was seeking not just any completion of quantum theory, but one wherein quantum states are solely representative of our knowledge. Our hypothesis is supported by an analysis of Einstein’s attempts to clarify his views on quantum theory and the circumstance of his otherwise puzzling abandonment of an even simpler argument for incompleteness from 1927.